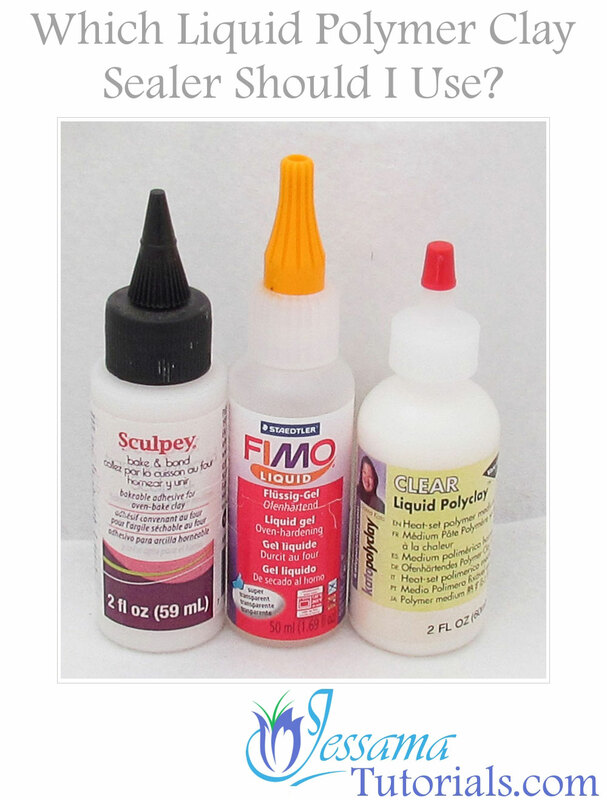 Which Liquid Polymer Clay Sealer Should I Use? 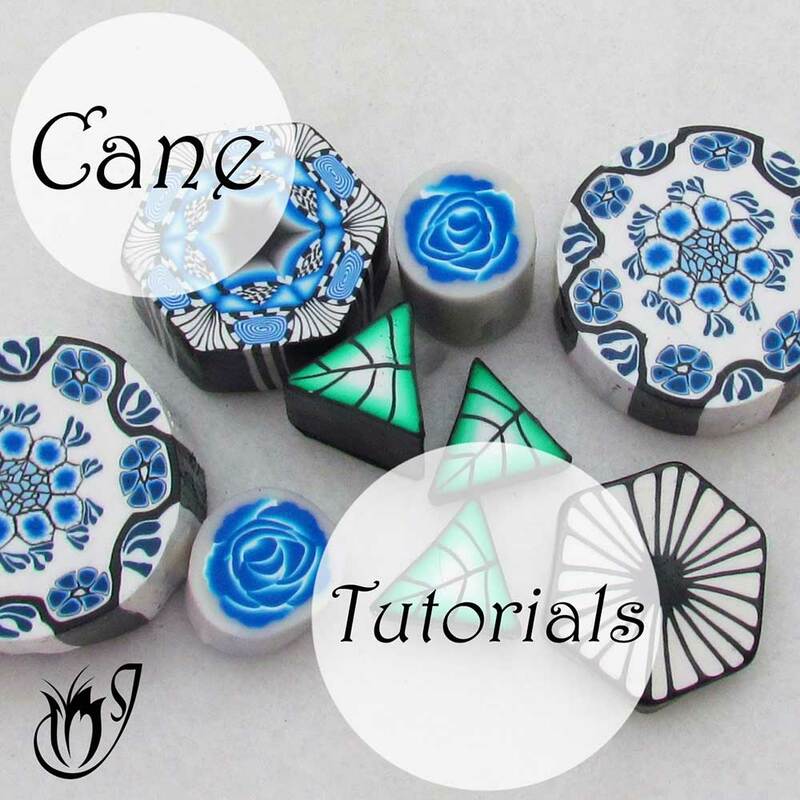 You are here: Home >> Finishing Techniques > Which Liquid Polymer Clay Sealer Should I Use? In this article, I'll discuss the different translucent liquid clays on the market and compare them to one another. 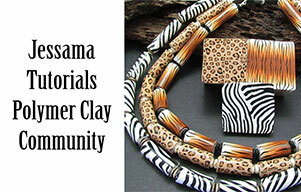 Liquid clays are a great way to seal the surface effects on your polymer clay. Since they’re basically polymer clay in liquid form, you don’t have to worry about chemical reactions with any mixed media you have used. 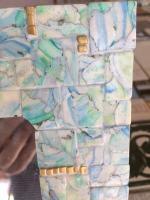 They don't produce the best finish though, so you will probably want to add a layer of varnish or wax after sealing. 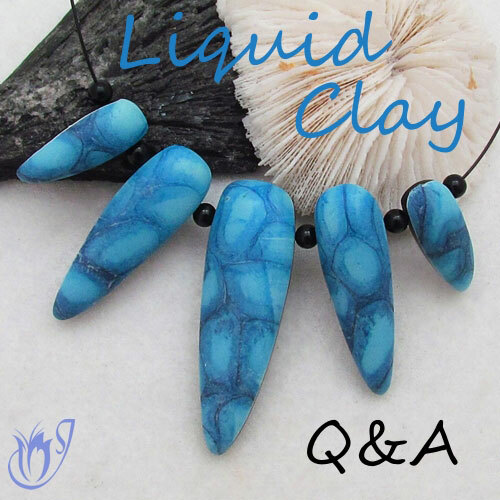 If you haven't sealed your work with liquid polymer clay before, or if you are running into problems, be sure to check out my article: How To Seal Polymer Clay With Liquid Clay - Questions and Answers. Getting a nice, smooth, translucent finish can be a bit tricky in the beginning, but the tips in this article should help you. There are only really two translucent liquid clays on the market at the moment. Sculpey is in the process of releasing another one which looks promising, but I haven't tested it. I'll add it in later if it passes the test. ﻿Liquid polymer clay has a rather strange consistency. It feels almost like craft glue with the same yucky stickiness. When baked, it’s flexible and feels more like thin plastic. Before baking it has a milky, clear color. It doesn't dry or cure like other polymer clay sealers, but needs to be baked at the manufacturer's recommended temperature. I bake mine for around an hour to ensure a good seal. It only really works for sealing flat beads. The liquid will run off of domed beads and puddle before it sets during baking. It won't dome like resin does, although some people do like to use it in place of resin. Translucent liquid clay will bond to regular polymer clay, so it’s a durable and long lasting sealer. It’s also scratch resistant. It's fairly easy to use once you've gotten used to it. 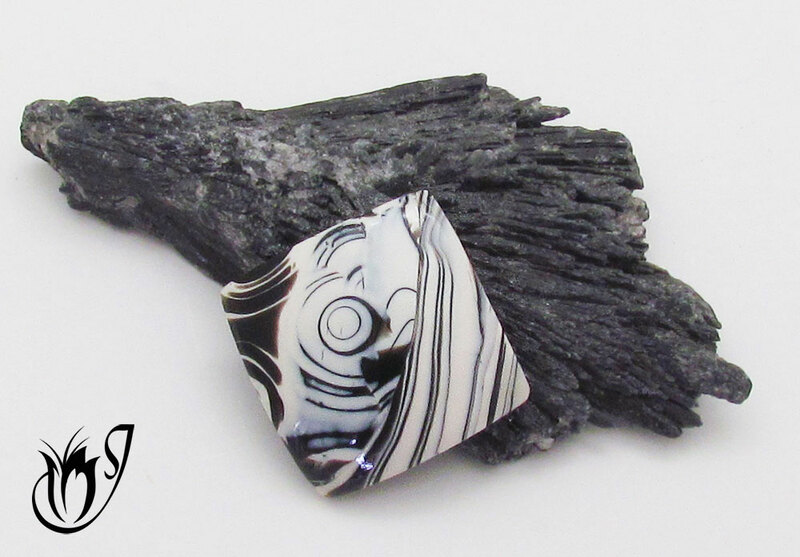 Both brands are available from some of the online polymer clay stockists. Not everyone carries them though, so you may have to look around. 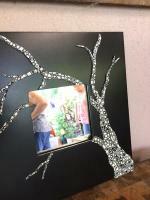 It doesn't match the finish that you can obtain by using other varnishes and resins. I recommend using it to seal in surface effects like mica powders or alcohol inks before applying a top coat of varnish, resin or even wax. Price: Translucent Kato liquid clay isn’t the cheapest of varnishes, but it isn’t too bad at around $10 for a 2oz bottle. 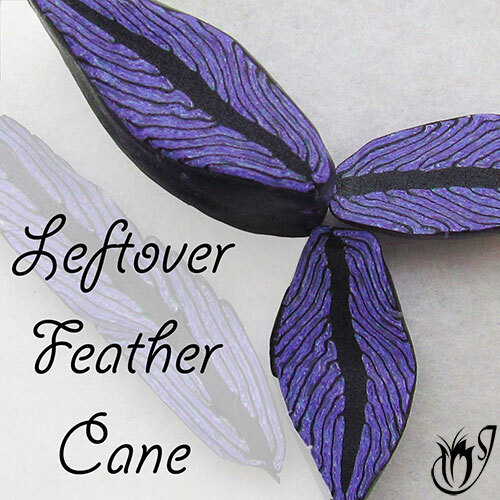 It's a good addition to your polymer clay supplies, since it’s great for many things other than sealing polymer clay. Does it work on all the polymer clay brands? : No. Only use it with Premo and Kato. I’ve had problems with other brands. Tint: Translucent Kato liquid clay has a slightly yellow tint. Finish: It has a translucent, glossy finish, but not as shiny as a gloss varnish. Translucence: Kato liquid clay can tend to be a bit cloudy, but if you follow the tips below, it gives the most translucent finish of the two liquid clay sealers. Make sure you only apply this liquid clay in thin layers. If you spread it too thick it will cloud up your colors. It's best baked at a higher temperature than recommended by Kato. I find that this reduces the cloudiness. Be careful not to burn your clay though. Give it a quick blast with a heat gun after baking to clear it up to a high translucent finish. Price: Fimo Liquid Deco Gel is a bit more expensive than Translucent Kato Liquid Clay at around $14 for a 1.69oz bottle, but it’s well worth it. There are so many uses for it other than varnishing. Does it work on all the polymer clay brands? : No. Only use with Premo, Kato and Fimo. Tint: Fimo liquid has a slightly blue tint. Finish: Fimo has a translucent, matte finish. Translucence: Fimo liquid is clearer than Kato liquid unless you heat-gun the Kato, so if you don't have a heat gun go with Fimo. So what's the verdict on liquid polymer clay sealers? 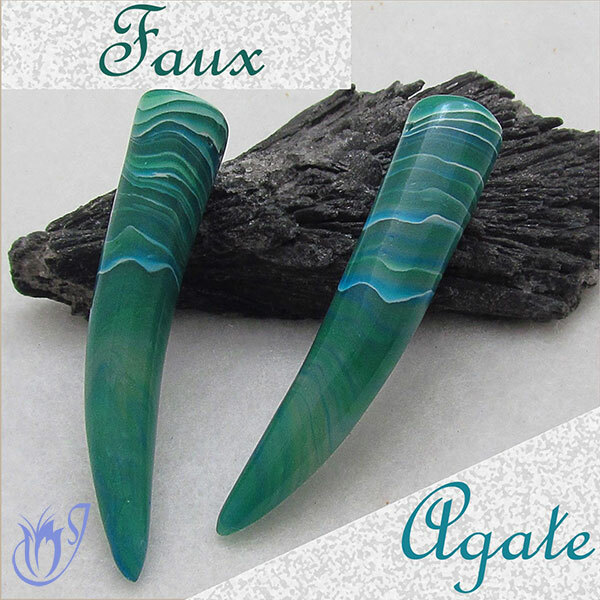 Translucent Kato liquid clay was used to give this bead its glossy finish. In my opinion, Kato Liquid Translucent is the better choice for sealing polymer clay. It's much clearer than Fimo if you use a heat gun to get it really hot. It's also less expensive, and easier to get hold of. It can be a bit fiddly to get right, but if you're prepared to experiment a little, Kato liquid clay is worth the effort. On the other hand, Fimo Liquid Deco Gel will do just fine if you don't have a heat gun. It gives a clear finish, and it's easier to use because you don't have to worry about clearing up the cloudiness. If you have any great tips to make working with Kato Liquid Translucent easier, please share them in the comments below. We would love to hear them. Also, don't forget to check back later to find out how the new Sculpey release does, and if you're having problems, check out my article: How To Seal Polymer Clay With Liquid Clay - Questions and Answers. I hope you found this article helpful. If you did please like and share with your friends. Which Polymer Clay Resin Should I Use? Which Polymer Clay Varnish Should I Use? Which Polymer Clay Wax Should I Use?